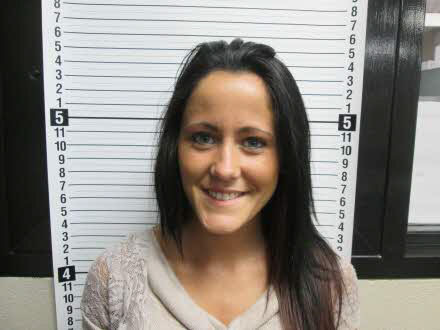 Here's a sentence you've read nine times before: Teen Mom Jenelle Evans has been thrown in jail. The 21-year-old reality star and single mom of one was tossed behind bars after the judge at her scheduled court hearing through a surprise drug test her way, which she promptly failed. Testing positive for marijuana is a violation of Evans' probation, and as a result, she's spending 48 hours on lock down. It's too bad, because had it not been for her positive test, that court appearance would've been deemed a success. Evans was in the Brunswick County, North Carolina courtroom to face charges stemming from her April 23 arrest for heroin possession, illegal Percocet possession, possession of drug paraphernalia, and assault, and believe it or not, she was able to strike a deal with the prosecution. She agreed to plea guilty to the drug paraphernalia charge if the other drug possession charges were dropped, and they went for it. As a result, Evans was sentenced to 18 months of unsupervised probation. Nary a jail sentence was in sight until, whoops! A surprise pee-in-a-cup test revealed Evans' is still using (mostly) illegal drugs, and into the big house she went. Womp. We're starting to wonder if Evans' drug use isn't the cause of an intense growth-spurt, though. The last time she was arrested a few months ago, she measured just over 5 feet. Today? She's about 5'5". Interesting.